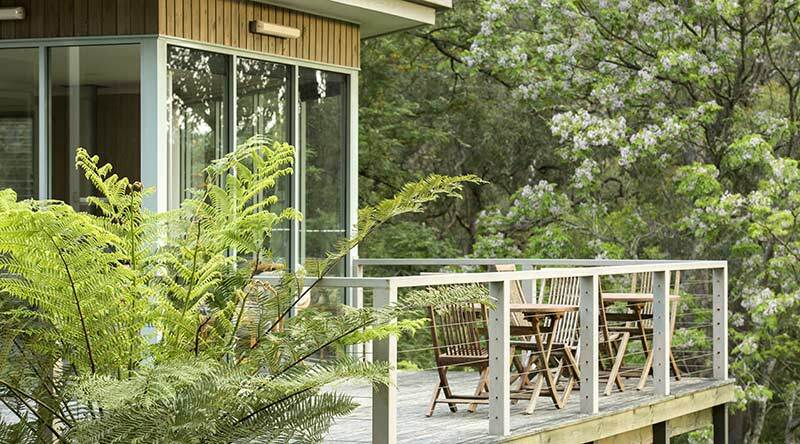 GiPSY POiNT LODGE is located on the Mallacoota Inlet and is perfectly situated for exploring this region of the Croajingolong National Park. The extensive waterways allow for safe boating with many picnic areas and jetties to visit and explore scattered around the local rivers and lakes. 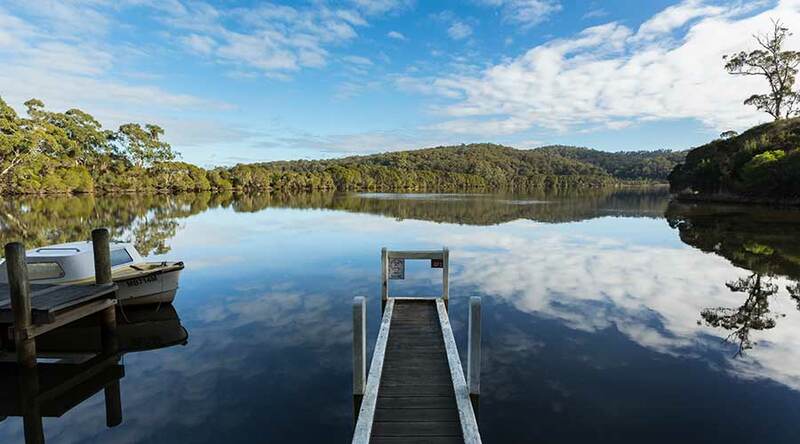 Bird and animal life abound, and a day out on the lake is a great way to relax and enjoy the peaceful surroundings. GiPSY POiNT LODGE has three motor boats available for hire (two open boats and one half-cabin). 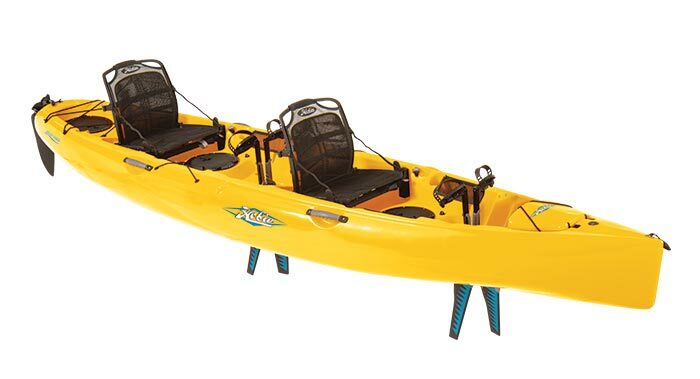 They are 4.9 metre (16’) fibreglass boats, easy to handle, and have electric start. We can also supply all safety equipment and maps, and familiarise you with the operation and navigation for an enjoyable and safe day out. 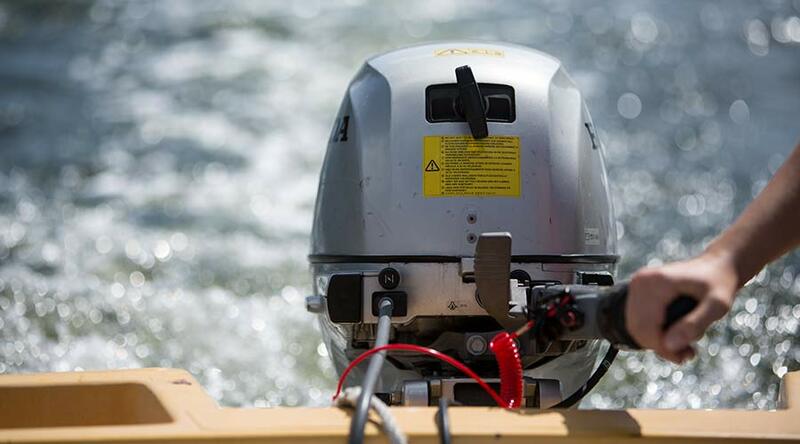 A boat licence is not required. 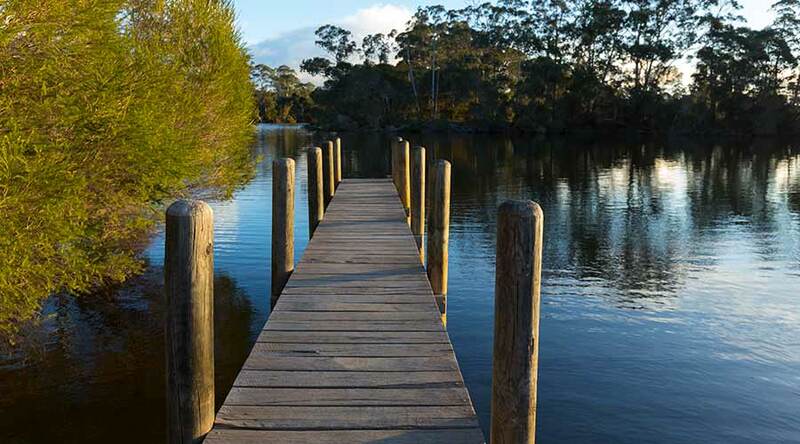 We also offer the use of our very own jetties and boat ramp to all visitors. We have ample trailer parking areas and guests boats are welcome at no extra charge. We can even help get them in the water for you if that makes your stay more relaxing! 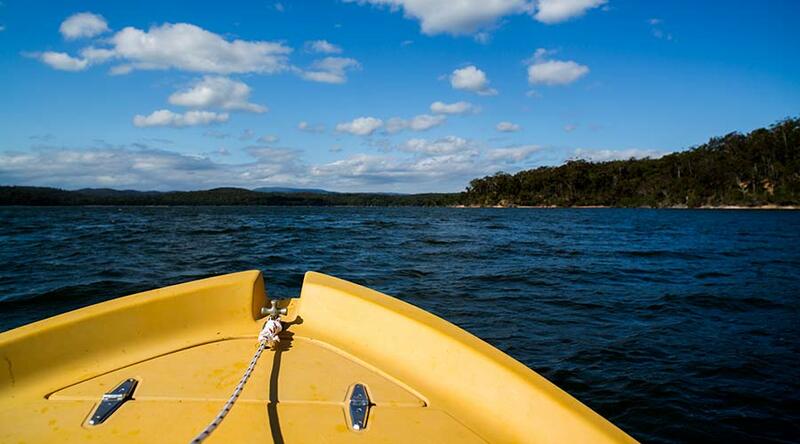 Contact us for more details on booking your hire boat or using your own boat at GiPSY POiNT LODGE. 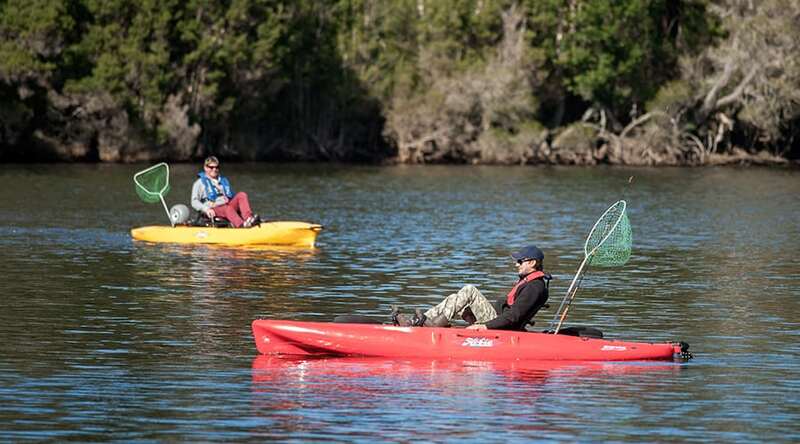 GiPSY POiNT LODGE now has three Hobie Kayaks for hire – including single and tandem Mirage Pro Angler Kayaks. 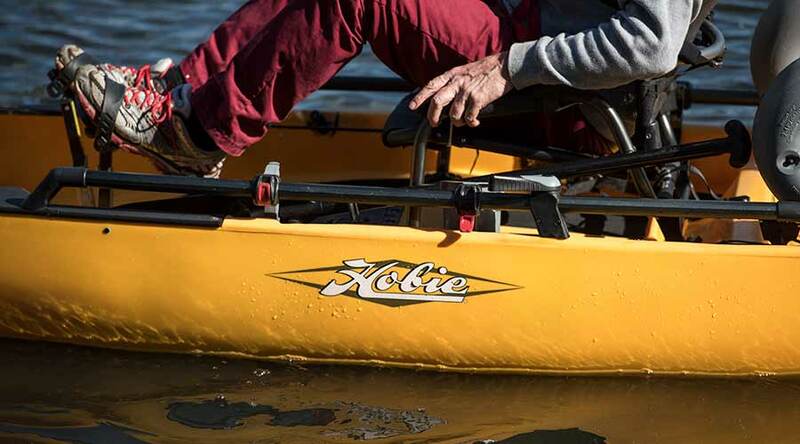 These Hobies can be paddled like traditional kayaks or ‘pedaled’ using the Hobies’ MirageDrive system – which leaves your hands free for fishing. 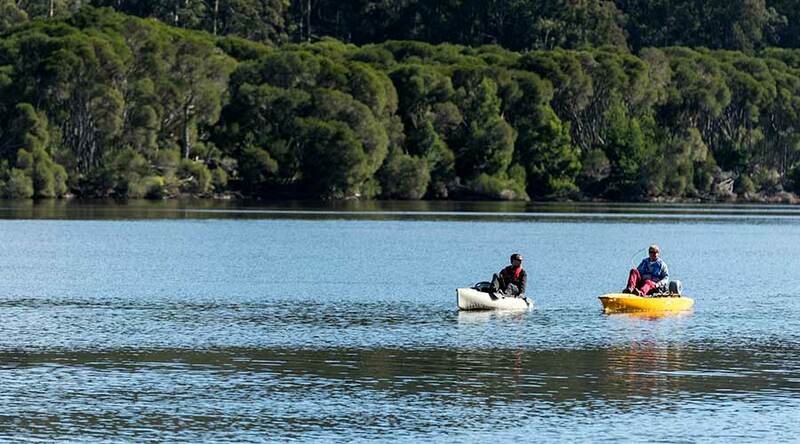 These kayaks are a great way to explore or fish the upper reaches and backwaters of the Genoa and Wallagaraugh Rivers or even venture further down onto the Mallacoota Inlet. HIRE RATES | full and half-day (4 hr) rates are outlined below under the different kayak types. Half-day hire is available in either morning or afternoon blocks – morning hires must be returned by 1:00 PM. Afternoon half-day (and full day) hires must be returned by 7:00 PM (AEDT). 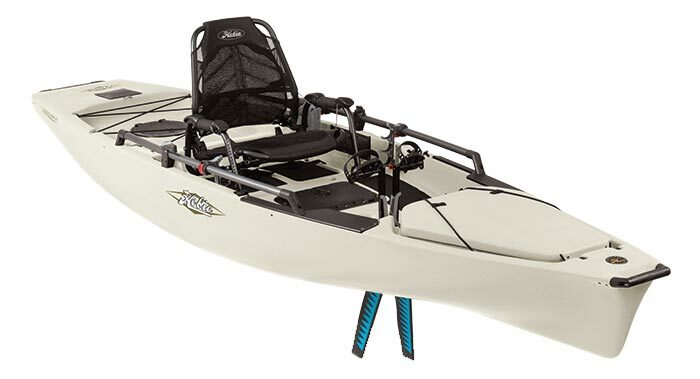 Hobie’s original Pro Angler packs extreme fishing utility with six horizontal rod lockers and enough tackle compartments to empty a store. 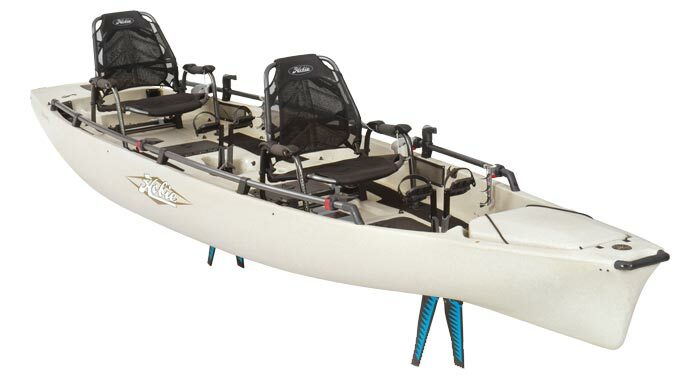 With innovative multiple seating options for one or two casters, the 17T is the king of Pro Anglers. Canoes | we also have two double canoes available for hire at $40 / day. 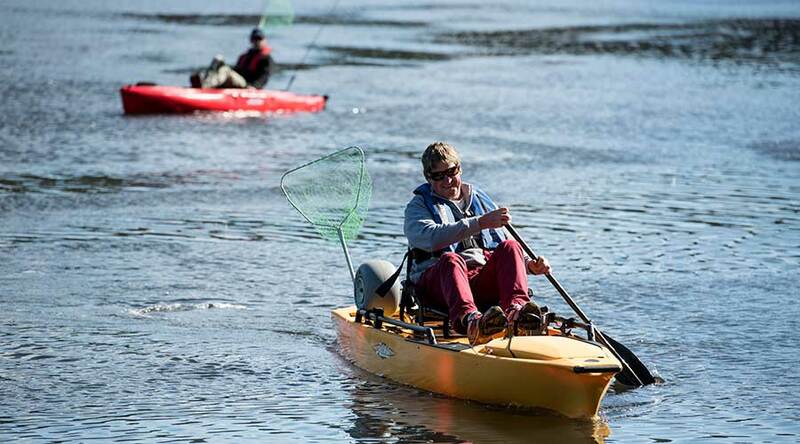 Note | flotation jackets and maps are provided with all of our kayaks and canoes. Contact us to book a canoe or Hobie kayak on your next visit to Gipsy Point. Fishing is very popular at Gipsy Point with black bream and dusky flathead the most commonly pursued species. Tailor, perch, garfish and even mulloway can also be caught in local waters. 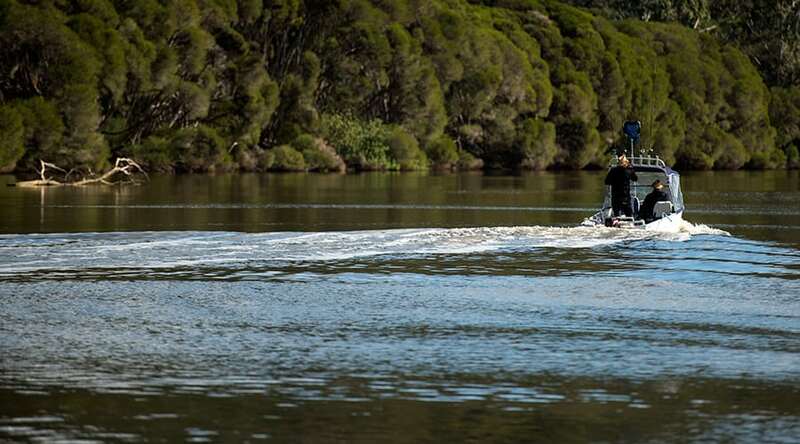 GiPSY POiNT LODGE can help with all your fishing requirements – bait, licences, rods and local fishing advice – plus supply hire boats or Hobies if you haven’t brought your own. 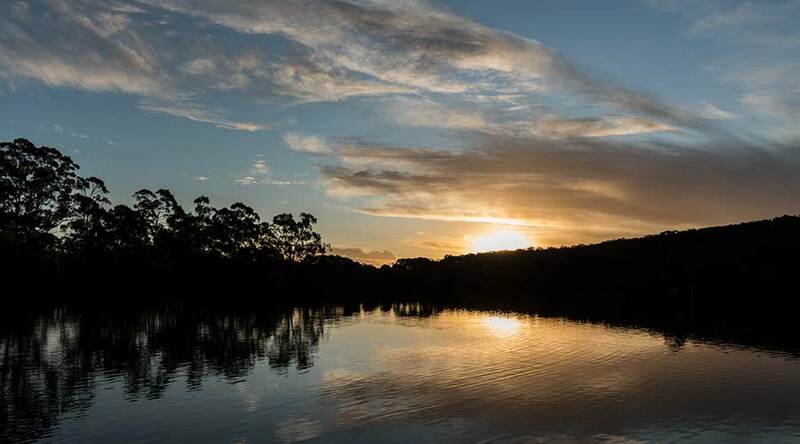 A Wilderness Boat Cruise operates from the nearby Gipsy Point Main Wharf (a short walk from GiPSY POiNT LODGE) on Tuesday, Friday and Sunday afternoons. 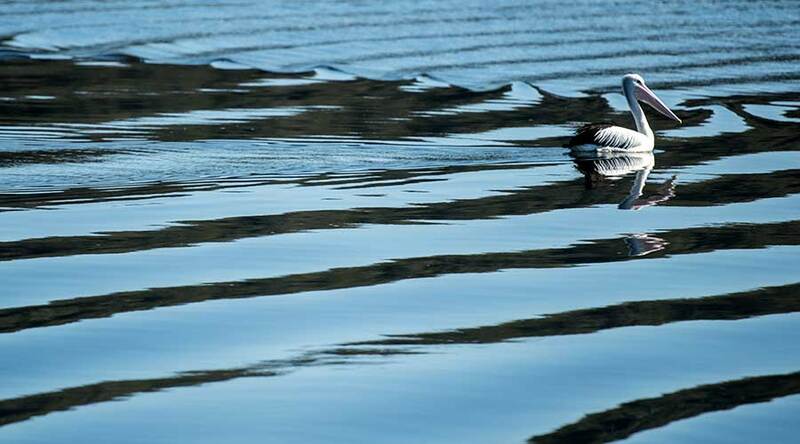 This 2.5 hour cruise provides a unique opportunity to view the local wildlife and wonderful scenery. 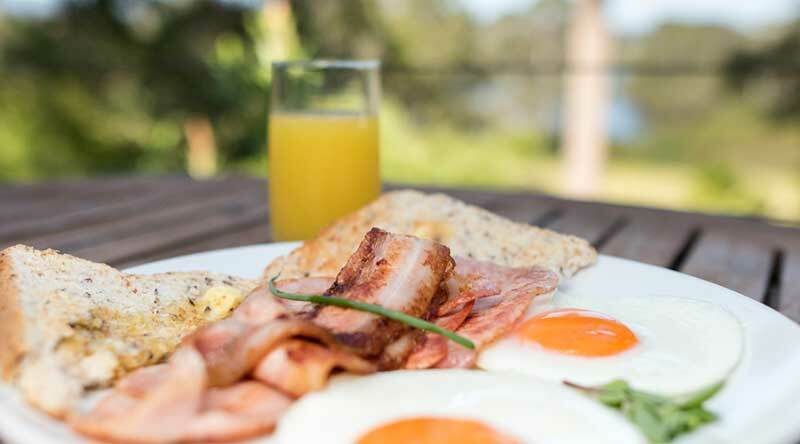 Bookings can be made directly with the tour operator or we can help you organise a place.